As an entrepreneur, you’ve probably had a good idea or two. Or, perhaps, you have new ideas just about every day. How many of those ideas actually hit prime time? How many of those ideas actually achieve the goals that you have set for it? Why or why not? Whether a new product or service, customer experience, marketing method or any number of ideas, the best idea on the shelf is no better than the idea that never happened. How do you avoid this? Idea Generation and Mobilization. This is where we started. However, those in the innovation business will tell you that collaborative ideation is a superior approach to idea creation in silo. Furthermore, creating a culture of innovation will encourage idea creation across the organization and foster ideas in any number of areas. Advocacy and Screening. How many ideas are good ideas? How many are not so good? How do you know? Using a screening process with specific criteria will help to narrow down the number of ideas that should be considered. This should be done regularly and it should be a collaborative approach. The second component is having someone to stand behind it – an advocate – preferably someone in a leadership role, to champion the idea through the innovation process. It isn’t good enough for your management team to come up with a new system or process. You, as the business leader, have to get behind it to drive it to completion. Experimentation. There are likely no ideas that enter the market in its final state. Proof? There is a new iPhone and a new Galaxy (or suite of Galaxies!) every year. Similar to product innovation, other types of innovation need to be tested in the “real world.” A brilliant customer loyalty program may not work in every market for every product or service that hits the market. A new process may not work in its designed state right out of the box. Be open to change and new ideas that may be more feasible. An approach which is more in-depth and applicable for this stage is called the stop-gate or phase-gate approach. Commercialization. Remember: the point of innovation is to gain some strategic advantage. So the business case – the logical reasoning – for the innovation has to a) make sense and b) be profitable for the Company before it goes online. At this point your innovation should be fully developed – though likely not the final version – and your job is to get people to buy into it. Which means that you may have to inform, educate and persuade the innovation team to buy into the innovation. Diffusion and Implementation: Organizational change happens on two levels: creating the box – whatever the innovation may be – and getting people to use it. The first can be like flipping a light switch: it wasn’t there, now it exists. The second could be likened to the buying process, wherein there are those who will adapt immediately, then – four more stages, as Everette Rogers describes in “Diffusion of Innovations” until you get to the last to embrace the change, known as the laggards. Diffusion is considered the first stage – flipping the light switch; implementation is the second. 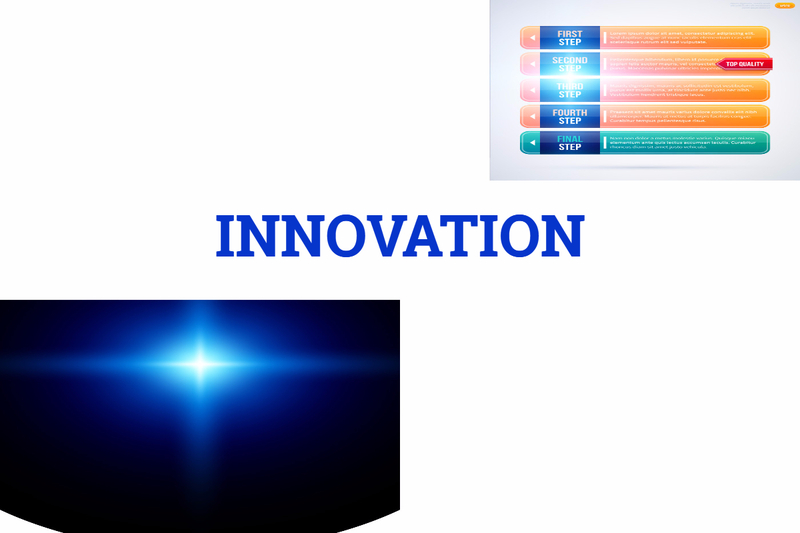 As in commercialization, you will have to market the innovation: inform, educate and persuade members of your organization to adopt it, – both internal and external customers who will be affected by the innovation. The best implementations will have a feedback loop as part of the implementation process to gain feedback from users and plan for the next set of changes to the innovation. 2. Follow Through. A lot of times when we (myself included!) start a project, especially when it requires multiple steps to get it done, that project tends to fall by the wayside…or a half-baked project gets launched with a serious need for fixing. Fairly forward, roughly right, right? If your goal is to gain strategic advantage, your innovations need to be well done. 3. Ongoing Feedback. While the feedback loop is part of the innovation process, ongoing input and feedback will help the process along faster. Don’t wait for it…go and get it. 4. Continue to innovate. As mentioned before, Apple and Samsung regularly enter the market with new versions – continuous innovations – of their products. 5. Create a culture of innovation. Everyone in your organization probably has some idea of how to do something better. Promote their thinking! Enable them to try new things and experiment! Your company, your customers and your profits will benefit. When all the ideas come from the top, your company’s knowledge base is severely crippled. Ideas are a dime a dozen. If you had a nickel for every idea you had…you’d probably be rich, right? If your goal is to build a company that is extraordinary, you’ve got to remember that standing out in the marketplace is a moving target. Every time you do something great, someone else will soon follow. If it is too easy to duplicate what you’ve done, they will follow much more quickly and potentially improve on the idea that your company originally brought to market. Make sure your company’s innovation environment is executing consistently with excellence.